For those who are willing to listen, the old musicians have stories. In blues, they tell of oppression. In folk, they speak of the Dust Bowl, the Great Depression and the oft-forgotten experience of middle Americans. This is roots music — a vast genre which includes early blues, country, folk and rock influences. But the audience that favors this form is scarce, and the music stops when nobody is there to listen. Music promoter Christopher Burkhardt is doing his part to keep roots music alive in Orange County. Burkhardt, 67, of Fountain Valley found roots music at a young age. The genre — which quilts together more than a century of American experience — is a vital form of art to him, one that delves into the guts of the human condition. Roots musicians grappled with the same themes as the great American writers: love, death and everything in between. “There are stories to be told and lessons to be learned when you listen to roots music,” Burkhardt said. Hailing from Kalamazoo, Mich., Burkhardt has been promoting roots music and presenting concerts throughout his life. Back in his college days, he and his friends would close off a neighborhood street, erect a hay-bail stage and bring in bluegrass, swing and country bands to perform. But music promotion didn’t become Burkhardt’s full-time gig until about five years ago, when he started B&B’s Musical Thrills with fellow promoter Ed Boswell. The promotion group became one of the only in the county to book roots music. With few venues featuring the genre, the duo relied primarily on Don the Beachcomber in Huntington Beach for regular shows. The quaint tiki-themed restaurant was a perfect fit for the middle-aged crowd the concerts generally attracted. After the restaurant closed earlier this year, due to rent increases, Burkhardt and Boswell splintered off into their own promotional groups. Burkhardt named his business Stellar Shows and Concerts. Burkhardt was tasked with finding a replacement venue for Don the Beachcomber, where they regularly filled the 250-person main concert room. 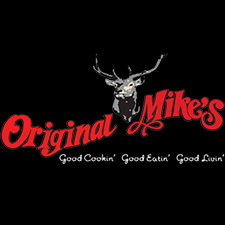 Burkhardt now holds many of his shows at the newly remodeled Original Mike’s in Santa Ana and also Campus Jax in Newport Beach. He’s put on about 75 shows this year. The Yost Theater in downtown Santa Ana is a vintage gem where he has produced shows from Lucinda Williams to Asleep at the Wheel to JD McPherson and Pokey LaFarge. Famed local guitarist Kid Ramos, who played in The Fabulous Thunderbirds, has been booking shows with Burkhardt for years. His 19-year-old son, Johnny, also books shows with Burkhardt. Ramos called Burkhardt the primary promoter for roots music in Orange County. For more information about Stellar Shows and Concerts and concert listings, visit stellarshows.net/.